This weekend I was invited to record a band, The Lonesome Wilderness, at The Yuca Tap Room in Tempe, Arizona. It is one of the most famous bars in Tempe and has the space and history of a well-established venue. Getting there an hour before the band played… I needed some time to kill and so I went around the Tap Room exploring the historical space, and much to my surprise they had a side room with a full arcade in the building. Normally I would not even care about arcades in bars, because most of them are limited to 1-3 machines and most of them being reproduction machines with some anniversary collection from Namco… rightfully so in that regards. 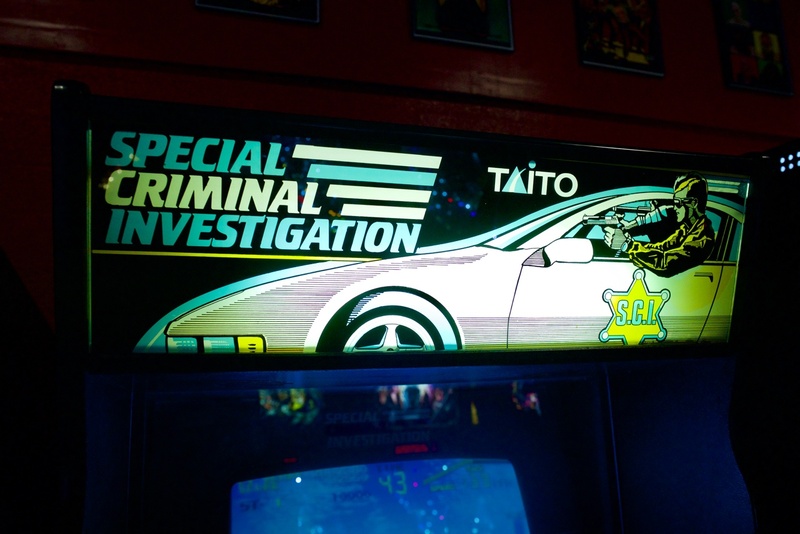 But this arcade has the best hand picked set of Pinball and arcade games I could not but help take pictures of the wonderful machines that they had in almost pristine condition. 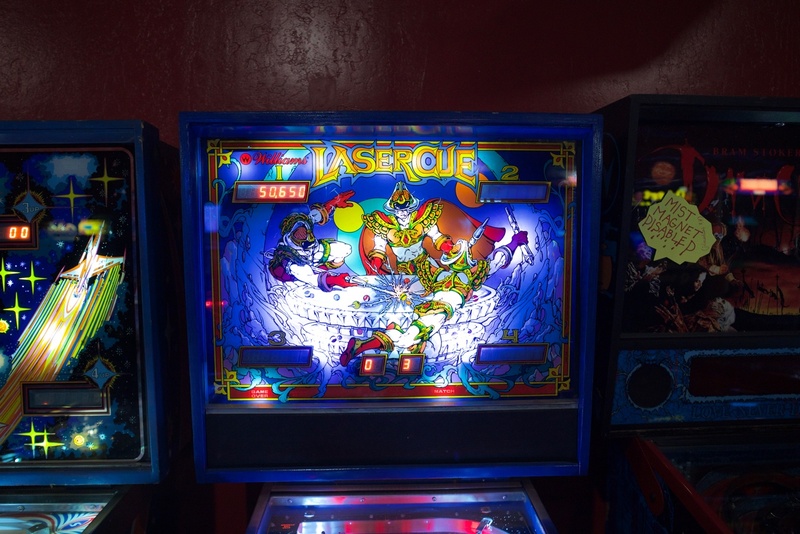 One pinball machine that really caught my eye was Lasercue, with the crazy vintage art that just screams classic pinball in every sense.
. Since Williams made it back in the day it used the same sound effects from early Atari/Vectrex/Space Invaders… When game over screen pops up there is a laser sound effect that lasts between 1-2 minutes which I could not help but find endearing. They have an OG Mario Bros cabinet, I don’t know if it was a repo or not but it was in great shape and still looked really sharp. 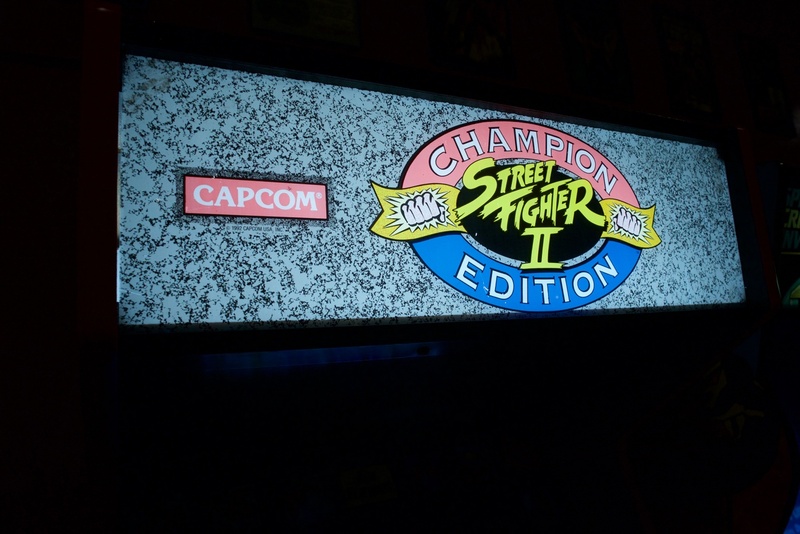 I spent a fair amount of my time playing Street Fighter 2 Champion Edition, because I had skipped most of my local weekly casuals to record the event… So I needed more practice in in some sort of fighting game. 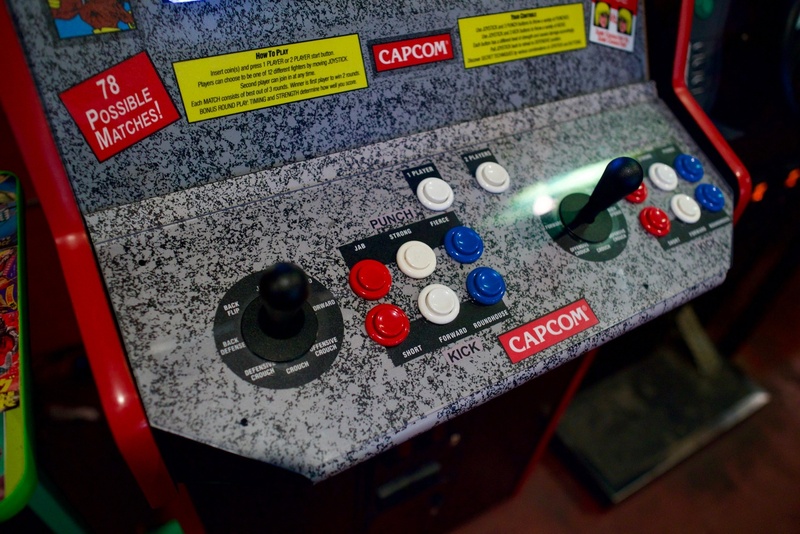 This cabinet might not be 100% authentic, but the joysticks and buttons felt fresh and not abused… Which is almost impossible to find out in the wild. 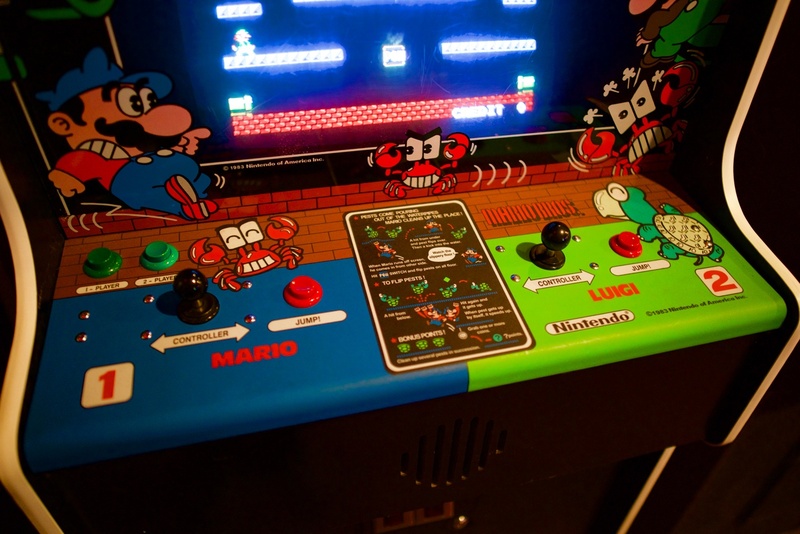 It also had another leg up on the 1up reproduction kits, as both joysticks use HAPP style sticks. Which made doing special moves super easy. Nothing wrong with Sanwa/Semitsu sticks but I did not grow up with them and so any time I end up using them it feels wrong to me. 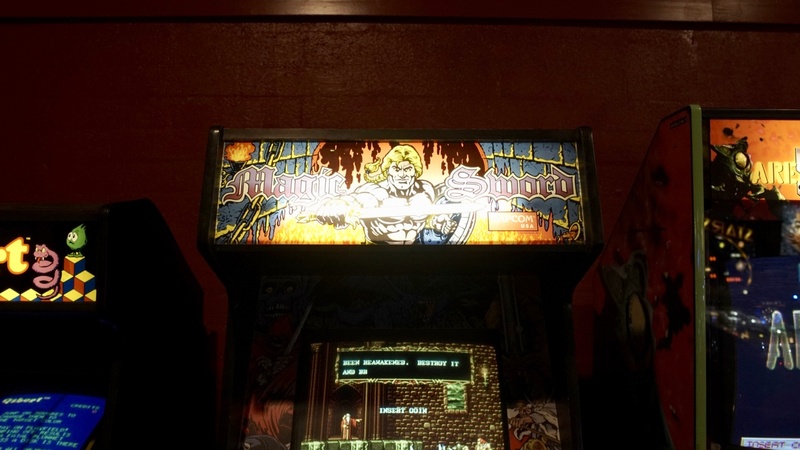 They also had a good Magic Sword Cabinet. 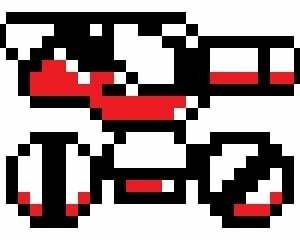 Which if I remember rightly it is probably a really good side scroller game. 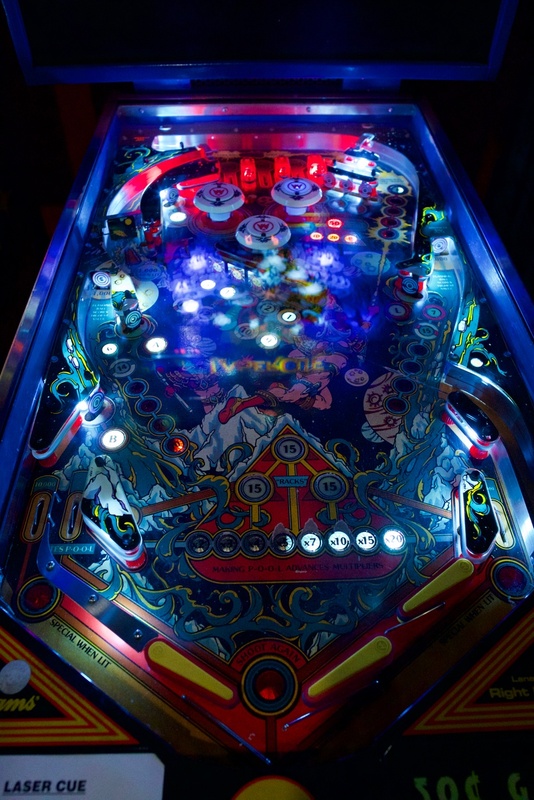 I was blown away with the quality of the cabinets; there were a few reproductions like the Mrs.Pacman/Galaga Anniversary Edition… And one of the pinball machines was turned off and scheduled for some maintenance. But all the little things were handled really well, the room was clean and very well taken care of, and there was a small table next to every machine for Beer or Tokens. 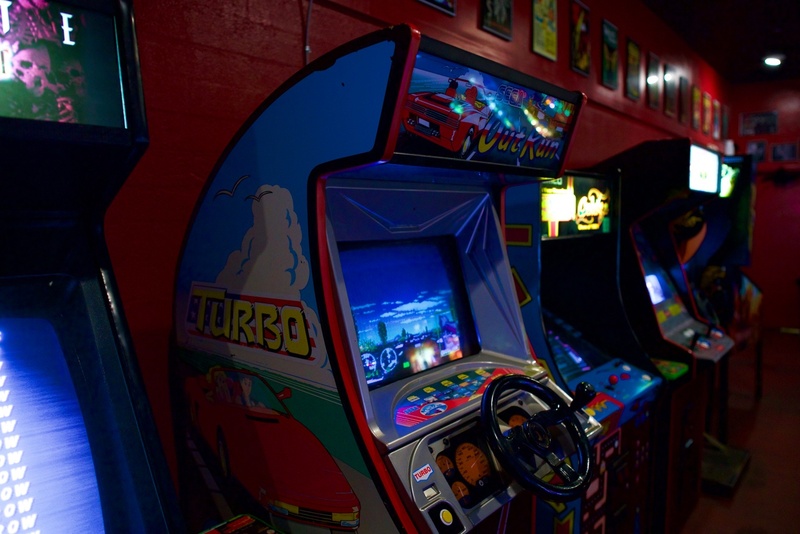 This arcade not only has solid game line up but also a great space for playing arcade games. 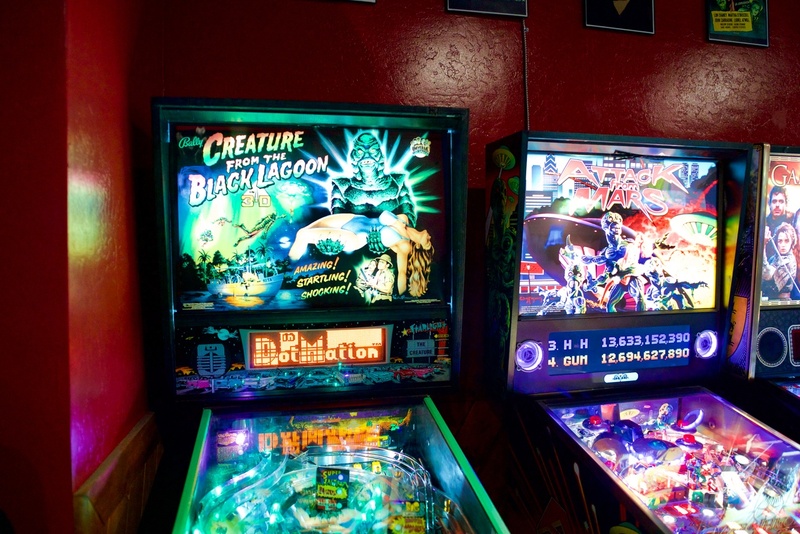 Sometimes it is not about the Quantity, but rather the Quality and this arcade is solid in its line up. 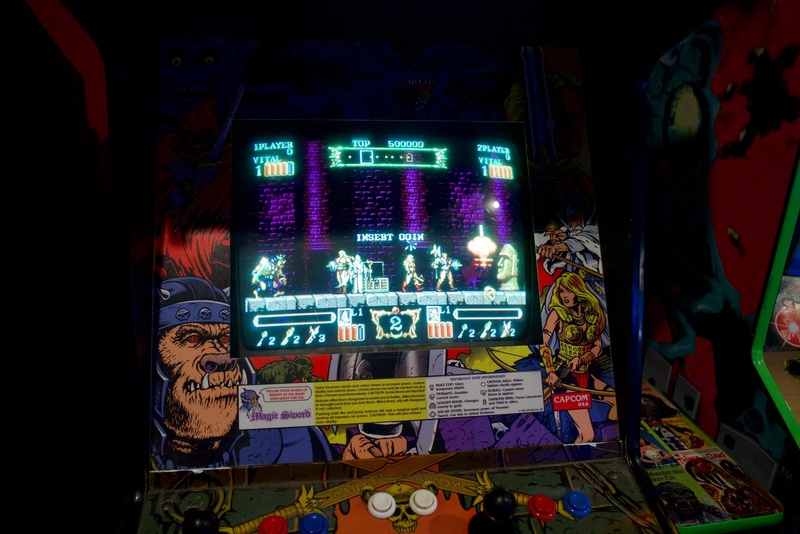 I would highly suggest anyone in the Phoenix area to check out The Electric Bat Arcade in the Yuca Tap Room.